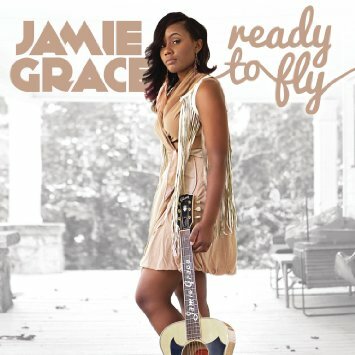 Singer songwriter Jamie Grace was discovered on Youtube and she has done very well in the Contemporary Christian market. Beautiful Day is her biggest hit single to date. She was born Jamie Grace Harper Nov. 25, 1991 in Los Angeles. Jamie and sister Morgan Harper Nichols grew up in Atlanta. Her parents are pastors at Kingdom City Church in Stone Mountain, GA. Jamie was diagnosed with Tourette's Syndrome at age 11. Both Jamie and Morgan started writing and performing music and Jamie started her Youtube channel in 2006. She was spotted by Mark Stuart of the CCM group Audio Adrenaline and he got her on the Trinity Broadcasting series iShine. She toured and Christian rapper TobyMac signed Jamie to his Gotee label. The EP Hold Me was released Feb. 2011 and the single Hold Me featuring TobyMac reached #3 on the Christian chart. It was also nominated for a Grammy. Her full length debut CD One Song At A Time was released Sept. 2011. Jamie also released a Christmas EP. She won the 2012 Dove Award for New Artist of the Year. Ready To Fly was released Jan. 2014. Both of Jamie's albums were produced by Christopher Stevens who has worked with TobyMac for many years. Jamie co-wrote all the songs mostly with TobyMac and Stevens but also with her sister Morgan who also records for Gotee. Beautiful Day reached #3 on the Christian chart. Though Jamie is black, she is considered CCM because she records for Gotee though TobyMac has always had black artists on his label. The Christian/Gospel music business can be a little weird. Jamie is currently on tour. She recently announced that her next album is done but a release date has yet to be announced. I think she is very talented and she has a bright future. Here's Jamie Grace performing Beautiful Day on KLOVE Feb. 2014.